There are a million ways to say I love you and a thousand ways to say you care. An engagement ring means different things to different people, and all have their own definition of beauty. For those who follow their own vision, The Diamond Vault offers custom jewelry with the Designer Collection. When you design your own jewelry, it becomes more than an accessory; it becomes a part of you. At The Diamond Vault, we can make custom engagement rings to reflect your personality and capture your unique style. There's an endless combination of sizes, cuts, diamonds, and metals. Don't see what you're looking for in our catalog? Speak with one of our representatives to craft a piece that speaks to you. Customizing your engagement ring is more than about budget. You're creating a design that's all your own. Even if you have something in mind and a simple idea, there are so many options when you build an engagement ring. For example, you get to choose the metal, diamond, or another stone that speaks to you. Common metals include white gold, yellow gold, palladium, and platinum. With the Designer Collection, you can build your own engagement ring based on what goes with your skin tone and personal style and by what you can afford. Many people prefer 14K or 18K gold, but there are other options, and you can even combine your favorite materials! In addition to custom ring settings and metals, you can create an engagement ring with the diamond of your choice. With diamonds, you must consider cut, color, clarity, and carat (the 4 Cs). We offer many different cuts, or shapes, including cushion, emerald, or princess cut diamonds, as well as pear, round, oval, heart, and radiant shapes. With custom ring design, you don't have to choose a diamond if another type of stone suits you. Alternatives include sapphire, emerald, amethyst, pearl, topaz, tourmaline, ruby, and onyx, just to name a few. There are a wide variety of colors that can make designing your own ring an experience of a lifetime. For custom rings that are as meaningful as they are beautiful, nothing beats the custom jewelry experience. 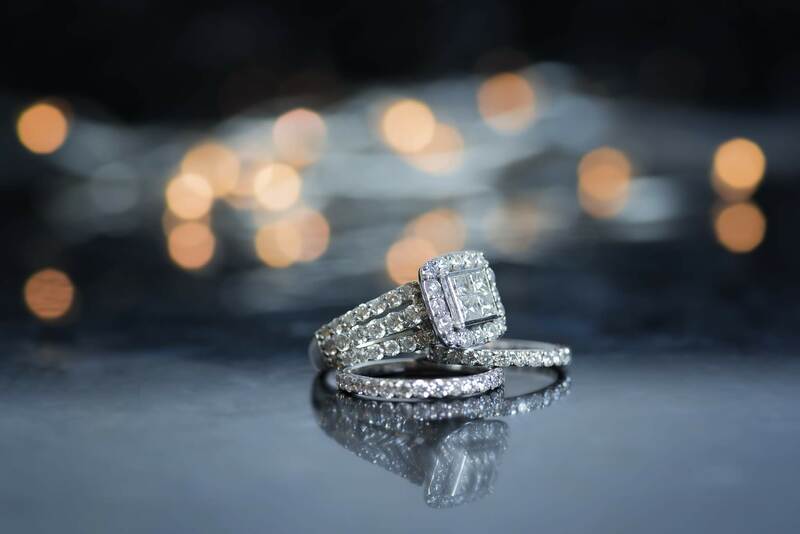 Get an engagement ring or custom jewelry beyond engagement rings that stand out from the crowd when you order with the Designer Collection at The Diamond Vault. Custom designed jewelry varies in price, but customizing your engagement ring puts you and your partner in full control of the process. You can choose the band, stone, setting, and other characteristics and even create your own engagement ring and submit your design to us. We'll then send you a quote, create a 3D model, and continue with casting upon your approval and deposit. Please call us at 480-948-8444 or email us at customdesign@diamond-vault.com to inquire about pricing, or receive help selecting or designing your own diamond ring. Want to learn more? Read all about our cutting-edge custom design process.